Anne Frank's House (Anne Frank Huis) is one of the most interesting and popular tourist attractions in Amsterdam Holland. The story of Anne's short life became famous with the publication of her diary that described growing up as a teenager in Nazi-occupied Amsterdam. With the assistance of others, the Frank family took refuge in the attic of this house where they lived until they were discovered by the Nazis in August of 1944. 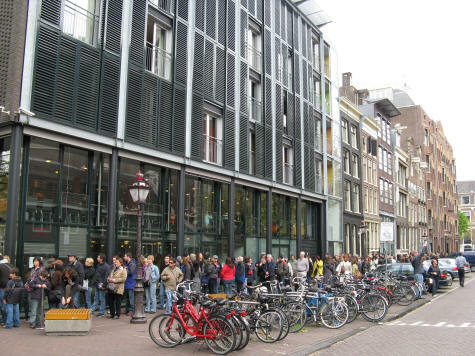 Anne Frank's book, entitled "Het Achterhuis" (The Annex) is a great book to read prior to visiting Amsterdam. The book was also made into a motion picture.